Building your own PC feels like a rite of passage. You’ve gone from buying off-the-shelf computers that anyone can get, to creating your own customized machine. It’s very gratifying . . . as well as intimidating. But the process itself is actually quite simple. We’ll walk you through everything you need to know. This guide is available to download as a free PDF. Download How To Build Your Own PC now. Feel free to copy and share this with your friends and family. The order in which I assembled my own computer might not be the best order for you. For example, I put the motherboard in first, then added the CPU, RAM, and everything else What's Inside Your Computer: The Story Of Every Component You Need To Know What's Inside Your Computer: The Story Of Every Component You Need To Know Whether you're buying a new computer or building your own, you're going to be subjected to a lot of acronyms and random numbers. Read More . However, it might be easier to install your processor and RAM before inserting the motherboard. You may want to put your PSU in first as well, if there’s not going to be much room between it and your motherboard. Different walkthroughs recommend different things. But the best way to go is to look at your case and your components and make a decision from there. If you do things in an inconvenient order, though, all is not lost. You may have to loosen a few screws or use a needle-nose pliers to attach some cables in a tight spot, but it shouldn’t be too hard to make it work. Also, a cleanly cabled computer will be quieter, cooler, and look nicer. It’s not a requirement to spend time making sure your cables are routed cleanly, but it’s a good idea. Most cables should be routed behind the motherboard tray (where the motherboard sits) and then back to the front of the board. Not only does it look nicer, but it encourages better airflow around the heat-generating parts of your PC. Use velcro straps or twist ties to keep them secured, too. You can use zip ties, but if you ever have to cut them, be extremely careful not to cut the cable. Static electricity can destroy the sensitive components you’ll be using to build your computer. Even a tiny shock can fry a motherboard or processor. So you’ll want to take specific steps to make sure that you’re not going to build up and release static electricity. One common way to do this is to wear an anti-static wristband. You can grab one of these for about five bucks, and it’ll keep you grounded, preventing damage from static. It’s an easy way to be safe. If you don’t have one, you can take other precautions. Stand on a bare floor instead of on carpet while you’re building. Don’t wear wool socks or a big sweater. Try to minimize the amount of clothing you’re wearing; jeans and a t-shirt are good. Touch a grounded piece of bare metal often during the build, and always before you pick up a component (the metal of your computer case is a good option). Try not to move around a lot while you’re putting your computer together. All of these things will help reduce the amount of static you build up. On a related note, be careful when handling your components. They’re very sensitive, and bending a tiny pin or getting oil from your skin on one of the contacts could affect how they work. So be especially careful not to touch the contact points. Hold components by the edges. In general, just be careful when handling this stuff, and you’ll be fine. The first thing you’re going to want to do is gather all of your supplies. Get your case, all of your components, and all of the manuals together. Grab a small screwdriver, a small needle-nose pliers, thermal paste (if your CPU didn’t come with a stock cooler), and a scissors or knife for opening packages. You can take everything out of the boxes now, if you’d like. Leave components in the anti-static packaging, though. Getting all of those boxes out of the way will give you more room to work, but it also makes everything a little less protected. So it’s up to you. I would recommend having all of the manuals set aside, though, as there’s a good chance you’ll need to reference them a few times. These instructions will apply to pretty much any set of components, but skim through your manuals to make sure you’re not missing anything particular to your specific machine. Don’t forget this step! It’s a common PC-building mistake. First, take the side panels off of your case. They’re probably held on by a couple screws; remove those, then slide the side panels out. Every motherboard comes with an I/O shield that snaps into the back of your case from the inside. It should be clear which orientation to use (any labels on the shield will be right-side-up), but if it’s not, look at how your motherboard will be oriented in the case. The ports on the board should match up with the ports on the shield. You might have to give the shield a solid push to get it to snap into the back of the case. If the processor is the heart of your computer, the motherboard is the nervous system. It coordinates the activities of various components. Your computer case will have a number of screws that keep the motherboard in place, so make sure you have those and a small screwdriver handy. It should be obvious where your motherboard goes; the ports will line up with the I/O shield. There will also be a number of standoffs — small posts that keep your motherboard from touching the side of the case. Line up the holes in your motherboard with the slots for the screws, and set the motherboard down. Getting the board to sit properly can be a bit of a challenge, especially with the I/O shield. You may have to move it around a bit or very slightly bend back the metal pieces on the backside of the shield. Be very careful while you’re doing this, and make sure not to touch any of the contacts on the board. Once the motherboard is properly seated, loosely put in the screws, then tighten them one at a time. Don’t go crazy; they don’t need to be super tight, just snug, and you can damage the board if you over-tighten them. Just put enough pressure on to be sure that the board isn’t going to move around. Make sure to insert a screw into every hole in the motherboard. There are a number of cables coming from your case that can now be connected to your motherboard. These are very small connectors that will be labeled “LED+,” “LED-“, “HDD+,” “Reset,” and so on, and they need to connect to the corresponding pins on your motherboard. Every case is going to be different, so consult the manuals of your motherboard and case. You can also connect the built-in case fan as well. My motherboard’s fan pins are labeled CHA FAN1 (as in “chassis”); look for something similar on your board. The port for the processor will be obvious on any motherboard; it’s a prominent square panel. To open the panel, push down on the arm and move it sideways to get it out from under the metal retaining piece that secures it. Lift up on the arm to expose the contacts for the processor. Once you’ve set the CPU in the socket, use the arm to lower the panel cover. Push down on the arm — it takes some pressure, so you’ll need to press firmly — and slide it back under the metal retainer. Your CPU is going to be doing a lot of hard work, which means it’s going to be generating quite a bit of heat. The CPU fan (or another type of cooler, if you’re going for a third-party option) helps keep it cool, prolonging the life of your processor. If your CPU came with a cooling fan, the fan almost certainly already has thermal paste on the bottom of it. Look for the silver stripes on the metal heatsink. If you bought a a cooler and it doesn’t have thermal paste on it already, you’re going to have to apply some. There are various schools of thought on the best way to pattern the paste you apply, but it all comes down to the same thing: a little bit goes a long way. You really don’t need very much. Some sources recommend a dot the size of a grain of rice. Other recommend two parallel lines. Each manufacturer will also provide some guidance on how to apply the paste. Read the instructions that come with your paste. After that, you’re ready to install the cooler. The fan that came with my Intel CPU simply requires that you push the four corner pins until they click. Other coolers may require that you do something else to secure them to the board; again, read the instructions. The CPU cooler also needs to be connected to your motherboard; you’ll see a set of pins labeled “CPU fan” or something similar. Connect the CPU cooler in the same way you connected the case fan. Your motherboard should have a very obvious place to place RAM (it may have “DIMM” printed on the board). There are often four slots for RAM sticks. Check the instructions on your motherboard for instructions on which slots you should use for the number of sticks you have. Mine, for example, says to put one in the second slot if you’re using one; the second and fourth slots if you’re using two; the first, second, and fourth for three; or all four. RAM slots have a small lever that you’ll need to push down before inserting the RAM. Once you’ve done that, push the RAM into the slot until you hear it click. It may take more force than you expect (but start gently and slowly increase the pressure). When I first installed my RAM, it only clicked on one side, and it wasn’t fully engaged. Make sure yours is all the way in. If you have an SO-DIMM (shorter) RAM stick A Quick & Dirty Guide to RAM: What You Need to Know A Quick & Dirty Guide to RAM: What You Need to Know RAM is a crucial component of every computer, but it can be confusing to understand if you aren't a tech guru. In this post, we break it down in easy-to-grasp terms. Read More , don’t put it in a DIMM (longer) slot. It won’t work. You’ll need a motherboard that supports SO-DIMM RAM or a standard DIMM stick. 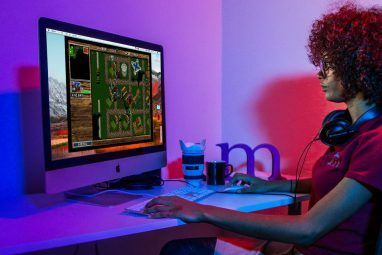 If you’re building a gaming PC, this is the real muscle of your machine 5 Things You Have to Know Before Buying a Graphics Card 5 Things You Have to Know Before Buying a Graphics Card Here are five key points to keep in mind before you buy your next graphics card, otherwise you may regret your purchase. Read More . Hopefully you already checked to make sure that your card will fit in your case – modern graphics cards can be quite large. If not, you’re going to need a new case or a new card. To start, find the PCIe port nearest to the heat sink on your motherboard. Your motherboard will likely have multiple PCIe ports, but not all of them are the same length. Many graphics cards use the PCIe x16 port, which is longer than the PCIe x4 ports you might also see. Once you’ve found the right port for your card, remove the corresponding vent cover(s) from the back of your computer. The covers can be removed with a small screwdriver. On my case, the rear vent covers were also secured by an L-shaped piece. If you see anything like this, remove it; it will make inserting the card much easier. Now, insert the video card into the uppermost PCIe slot. If you have two similar slots, always use the one closest to the CPU; the furthest one is used for a second video card running in Crossfire or SLI mode What Is SLI & How Can It Improve Gaming Performance? What Is SLI & How Can It Improve Gaming Performance? Sometimes a niche term is taken for granted. We have some such terms in the world of computing hardware, and one of them is SLI. It’s been around for so long that geeks take it... Read More . Make sure the plastic retaining lever is down, then push the card into the slot and secure it with the lever, much like you did with your RAM. As with RAM, it might take a bit of pressure. Once you’ve got the card in and the securing lever back in place, make sure the bracket on the back side of the card matches up with the vent cover ledge. Put the screws that were holding the small vent covers back in to secure the back of your card to the case. Put those covers in a safe place in case you need them again. Then replace the L-shaped piece as well. If you have other expansion cards, like Bluetooth, networking, or RAID cards, use the same process for installing them as you did the video card. Find the correctly sized PCIe port that’s closest to the motherboard’s heat sink and install the card, making sure the retaining lever is in place. Then attach the card — if required — to the back of the case. First, find the storage drive bays in your case. Depending on the case, there may be removable brackets to hold your drives, or there may just be a sort of scaffold where you can secure the drives. In the picture below, you can see the removable brackets that hold my drives. If you have these brackets, secure your drives to them with the small screws that came with your case. If your case offers tool-free installation, you don’t have to worry about this step. Once the drives are secure, reinsert the brackets back into the case. Whether you use these brackets or not, orient the drives so that the SATA ports are facing toward the motherboard (or the motherboard side of the case). If your case doesn’t have these removable brackets, you’ll just need to find the screw slots that match up with the small holes on your drives and screw them in. As with other pieces, don’t over-tighten the screws; just make sure they’re tight enough to keep your drives from moving around or falling out. To connect the drives to your motherboard, find the SATA cables that came with your board. Insert one end in the SATA port on your drive, and another into the SATA port on your motherboard. If you have both SATA2 and SATA3 ports, use the SATA3 ports for your drive, as it will benefit from faster speeds. That’s all there is to it. If you’ve opted for a PCI SSD What Is a PCIe SSD and Is It Better Than a SATA Data Drive? What Is a PCIe SSD and Is It Better Than a SATA Data Drive? PCIe SSDs are faster than SATA SSDs. But you may not need one. This article explains how PCIe SSDs differ from SATA SSDs. Read More , you won’t need to worry about all this. Just plug it into a PCI port and you’re good to go. While many people will opt to build their computers without optical drives (as I did), you may still want one. To insert an optical drive, remove the cover from the front of your computer case and slide the drive into one of the available optical drive bays. You should see two screw holes on each side of the drive align with holes in the drive bay. Secure it with screws. Then, just as you did with your storage drives, connect SATA cables. Optical drives should be plugged into SATA2 ports, if they’re available. The power supply unit 6 Things to Know When Buying a Power Supply Unit (PSU) 6 Things to Know When Buying a Power Supply Unit (PSU) Power supply units aren't as glamorous as processors and graphics cards, but they're a critical PC component that you absolutely cannot overlook. Here's what to know when buying one. Read More is a rather hefty piece of gear that distributes power to your entire machine. Before anything else, make sure it’s off, and unplug the cord that goes into the wall. This is not a piece of equipment to be trifled with. There will be an obvious place at the bottom of the case for it, near the back, as well as a large space in the back of the case for the PSU’s vent. Slot the PSU in the space and line up the slots for screws on the back of the case. Once you’ve made sure the PSU is oriented correctly (the port for the power cord, as well as the power switch, face out the back of the case), secure the PSU with the screws from your case. Make sure you can get to the ports on the back of the PSU. Everything in your computer needs power, so it’s time to get the PSU hooked up. If it’s a modular PSU, there will be one large bundle of cables coming out of the back of the unit with a 20-, 20+4-, or 24-pin connector. That’s the main power supply for your motherboard. Find the large socket for this connector, make sure it has the same number of pins, and connect the PSU. If you have a 20-pin motherboard, the 20- and 20+4-pin PSU connectors will work. A 20+4- or 24-pin connector will work on a 24-pin motherboard. You’ll also need to attach a PSU cable to power your CPU; this port should be near the processor (as you can see below, it’ll also likely be labeled “EATX12V”). It’ll be either a 4- or 8-pin socket. Connect your PSU to this socket using the appropriate cable. The back of your PSU will be labeled to indicate which port to use. Next, connect your PSU to your graphics card and any other expansion card that needs its own power supply. These are usually 6- or 8-pin sockets, and your PSU should have cables to match. Again, check the back of your power supply to determine where to plug those cables in. Your storage and optical drives will need power from SATA connectors as well. You might not be able to tell in the image below, but some of the PSU’s cables have multiple connectors, so I used a single cable to connect both the HDD and SSD to the power supply. Take a look around your case to make sure everything has a power socket has been connected to your PSU. If you miss something, it’s not going to work. Most cases include a single case fan, but if you’re going to install additional fans, it’s time to connect them. Find an unused fan location and use the four included screws to attach the fan to the inside of the case. Attach the cable from the fan to your motherboard. 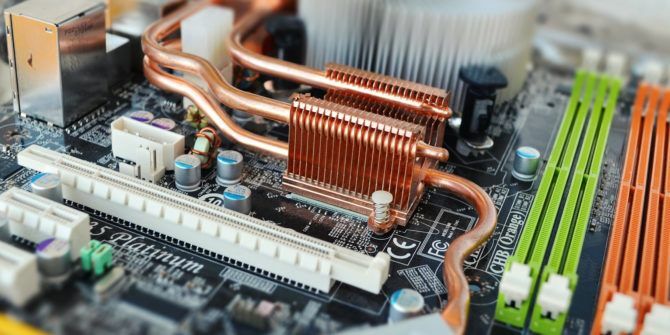 If you’re using a very high-powered CPU, graphics card, or a whole lot of RAM, consider installing additional cooling mechanisms How to Prevent Computer Overheating & Keep Your PC Cool How to Prevent Computer Overheating & Keep Your PC Cool Overheating computers may lead to unexpected shutdowns, lost data, and hardware damage. We'll show you how to read computer temperatures and simple ways to keep your PC cool. Read More . Extra fans are cheap, easy to install, and will keep your computer functioning longer. Now that everything’s been installed, take a moment to double-check that everything’s connected how it should be. Make sure your RAM and graphics card are seated properly. Check that your drives are plugged into your motherboard. Ensure that all of the PSU cables are secure. Check for anything you forgot to put into your computer. If something hasn’t been assembled properly, there’s a good chance that your computer won’t boot up. If it all looks good, put the side panels back on your case and secure them with the included screws. The moment of truth! Attach the power cable to your PSU, plug it into the wall, and flip the power switch. Plug in your monitor. Then, hit the power button on your case. If it boots up, congratulations! You’ve successfully built your first PC. If it doesn’t boot up — which is probably more likely — you’re going to have to go back into the case and check everything again. When I first fired up my machine, the case fan started up, but nothing appeared on my monitor. I knew the motherboard was getting power, so I checked everything else. I discovered that my RAM wasn’t fully in the socket. A couple of the PSU cables seemed a little bit loose, too, so I made sure they were all the way in. I had to open up the case and check everything again a couple times. Eventually, though, hitting the power button resulted in a reassuring whir and the UEFI BIOS Discover Your BIOS & Learn How to Make the Most of It Discover Your BIOS & Learn How to Make the Most of It What the heck is the BIOS, anyway? Is it really that important to know? We think so and fortunately it's pretty easy. Let us introduce you. Read More appearing. Installing an operating system on a computer without one should be fairly easy; just insert the bootable CD or USB drive, and tell your BIOS to boot from that media (how you do that depends on the BIOS on your motherboard). If it doesn’t install right away, you’re going to have to do some troubleshooting. Depending on your components and the operating system you’re using, you’ll use different strategies, and your best bet is probably to run a search online. Once you’ve done that, you’re good to go! Download essential Windows apps New PC? 15 Must-Have Windows Applications You Should Install First New PC? 15 Must-Have Windows Applications You Should Install First Got a new computer or just reinstalled Windows? These essential apps are must-have software for Windows 10, no matter what! 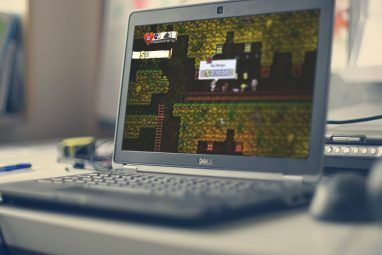 Read More , or get set up for Linux gaming Linux Gaming, an Overview: What You Can And Can't Expect Linux Gaming, an Overview: What You Can And Can't Expect While desktop Linux may be a tempting platform, there's one thing stopping a lot of people from making the plunge: PC gaming. 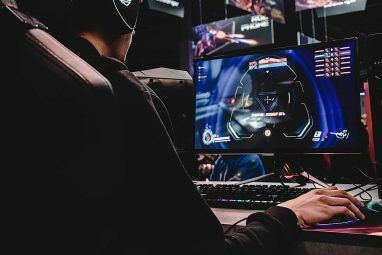 Like it or not, Windows is the de facto platform for PC gaming.... Read More , or do whatever it is you plan to do with your newly built, fully custom computer. Have you built up your own PC? Or are you thinking about doing it soon? Share your tips, tricks, and questions in the comments below! Explore more about: Longform Guide, PC. one of the best things to do when preparing to build a computer is to do a little research. Go online and check reviews on all of the components that you choose. This will save you headaches in the future. The most clear and easy to understand information I have found. Thank you . Hi I built a pc with my friend decades ago. I was wondering if there is any way of putting in wifi in a new pc because I would like to build one with my son and daughter and keep it up stairs. thanks and great site! Some motherboards come with wi-fi capability, but you can also buy standalone wi-fi cards to add it to your computer. Either will work. Fun! Especially if it works. Good job explaining. Can you devulge what components that you used and manufacturer ? How much ram? CPU speed etc. ? I'm a big fan. ...After All, Compatibility Among All Components Is Vital And That Is One Of The ( PPP ) Main Advantages - Hence The Name Of The Site. I mentioned PCPartPicker in my article about choosing the parts for your computer, but this one is focused on actually putting all of those pieces together. If you're still in the choosing parts phase, it's a fantastic resource! Some comments from someone who has built machines since the mid-80s. It is usually a good idea to install the cpu+thermal paste+fan when the board is out of the case, on a flat surface. This allows you to actually see if enough thermal compound has been applied and there is more than enough room to screw down the fan. It is easier to install the memory at this point, again, more room to maneuver. Also, with the board on a flat surface, there is more support when the components are pressed in, which minimizes the board flex and the potential for cracking traces on the board. Make sure that the power supply sockets on the board can be accessed to plug in the power supply plugs when the board is installed...I've seen cases when the socket is blocked by the disk mounting cage and one could not get a hand in to push on the plug. A magnetic or captive screw driver can be very helpful as I've seen cases where the mounting holes are obstructed. Thanks for all the tips! I definitely agree on the magnetic screwdriver; that would have been a huge help. And yes, the PSU can easily get blocked. That's a pain. The assembly is easy, it's the purchasing that's the hard part. Figuring out what parts will be compatible with what. Yeah, it's easy if you have instructions like the above. :-) But yes, picking out each part can be difficult (I'm currently working on an article that details how I picked the above parts). But it's also a hell of a lot of fun! I've had more PCs than I can remember, starting back with my first 386 built out of scrounged used parts and I've built every one myself. For anyone tempted to try their hand at it, it's even easier than this article would suggest and I'd strongly recommend you try it. There's plenty of helpful websites and forums if you run into a problem... and the hardest part of the whole build will be selecting which components you want to use. Do your research, look at other people's builds, and shop around for the best prices. Yeah, the level of detail above makes it seem a little harder than it is. I just wanted to make sure not to leave anything out. You know what they say: better overly detailed than sorry! I had help building my last pc, but its still great to have this list of components and at hand. I will be building a new pc soon and have your list of parts noted. I may be able to use some parts from my old pc, mainly the fan, hardrive and maybe keyboard and mouse. my hdtv is my current monitor, 32" and I have my ps2/3 as well as my pc connected to it and it works fine. Just the pc is about 8 years old now and on its last legs. Thanks so much.you are a legend!